Aleyos, Santeros and Babalawos – oh my! What’s a santero? Is a babalawo a high priest? What do all of these names mean? It is important to understand what the different terms in our religion mean especially those used for the various levels of initiation, so you know who you’re dealing with. Aleyos are people who have not received anything in Santeria. They may or may not be followers of the religion. They are not formally associated with any spiritual lineage (ilé). They can freely work with their Ancestors as can anyone. Aborishas are people who have received the initiation of necklaces (elekes) or warriors (Eleggua, Ogún, Ochosi and Osun). These people are under the protection of the Orishas, or have some Orishas in their home. Aborishas have duties and responsibilities toward their godparents that gave them necklaces or the warriors. They are required to honor their godparent on the anniversary of the godparent’s initiation (ocha birthday) as a priest or priestess with an offering called a “derecho”. The derecho consists of a plate, two coconuts, two candles and a donation of money. This derecho is presented to the godparent’s tutelary Orisha every year. Every ceremony in Santeria involves a primary godparent (can be male or female) and a second godparent known as an ojugbona (can be either gender as well). An aborisha will need to pay respect to both their godparent and ojugbona on their ocha birthday. A person remains an aborisha until they are crowned as a priest of priestess in the religion. Some lineages allow aborishas who have received warriors to divine with obi while others reserve this for Olorishas. Most Aborishas are encouraged to focus on their relationship with their Ancestors and their Warriors as ways of developing spiritually. 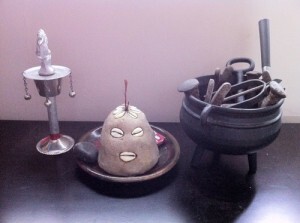 When a person undergoes the ceremony of kariocha (hacer el santo) he or she becomes an Olorisha. This is a ceremony where that person’s tutelary Orisha is seated on his head – he is literally crowned with that Orisha and his body and life are consecrated to the service of that Orisha. Olorishas can be crowned to any of the following orishas: Eleggua, Ogun, Ochosi, Obatala, Aggayu, Oya, Oshun, Obba, Yemaya, or Chango. Rarer initiations can be done to Inle, Babalu Aye, Orisha Oko, Olokun or Yewa but some of these are only done in Africa. Men or women can be olorishas – the term is the same for either gender. 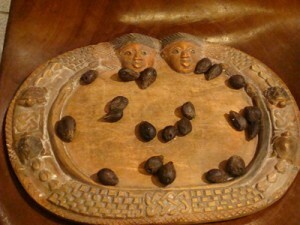 Olorishas can perform readings with cowrie shells (diloggún) or with obi. They can work with ancestors, give necklaces, give warriors, give orishas, crown others in kariocha, or a whole multitude of spiritual services. They are effectively a priest or priestess of our religion. The terms Santero (man) and Santera (woman) are syncretized terms that indicate “one who works with saints”. Within Santeria, you are not a Santero or a Santera until you have undergone the initiation of kariocha and finished your year as an Iyawo. Santero and Santera are alternate terms for Olorishas. In Santeria, when a person goes through kariocha, they spend a year dressed in white with a long list of behavioral restrictions in order to preserve their purity and keep them centered and focused. This allows the energy of the kariocha to properly seat within that individual and it allows them to bond with their Orishas. An iyawo is not allowed to initiate others nor is he or she allowed to participate in ceremonies aside from drumming celebrations. They are supposed to remain rather isolated and quiet for their year. Once an iyawo completes their year in white and celebrates their first ocha birthday (anniversary of their initiation), they can then return to a normal mode of dressing and a regular life. They move out of being an iyawo and into being an Olorisha. Until an iyawo performs his three month ceremony (ebó meta), he cannot work his Orishas or put anything on them in terms of offerings. The terms padrino and madrina are spanish terms for godfather or godmother. These are terms of respect when referring to the people who initiated you in Santeria. To be a padrino or a madrina you must be an Olorisha or Babalawo because they are the only ones who have the authority to initiate others. The Lucumi term for a padrino is “babatobi” and the term for a madrina is “iyatobi”. An oyugbona is your second godparent and in many ways is more important than your primary godparent. The word oyugbona (ojugbona) literally means “eyes on the road”. They are the “look-out” on your spiritual journey and are in charge of your spiritual well being. Unfortunately the importance of the oyugbona is being forgotten or overshadowed by the role of the godparent. In religious ceremonies, the oyugbona does most of the hard work and deserves as much respect as our babatobi or iyatobi. The oyugbona must also be an olorisha. There is a great misconception in the religion of Santeria that Babalawos are high priests of the religion. Babalawos are not high priests, they are those who have been consecrated as priests of the Orisha Orunmila (Orunla). The sect of Orunmila is sometimes called Ifá. The term Ifá is also interchangeably used for the Orisha Orunmila himself. In Santeria (Lucumi/Lukumi) only heterosexual men can be initiated as priests of Orunmila/Ifá. Babalawos can only participate in the Ifá sect, they cannot perform kariocha nor can they give the ceremony of elekes. They can give warriors of Ifá, the bracelet of Orunmila (idé Orunmila), and Kofá/Awofakan (Mano de Orunmila) which is an initiation where an individual receives the mysteries of Orunmila. They can, logically, initiate others as Babalawos. If the Babalawo was an Olorisha prior to being initiated in Ifá he is technically called an Oluwo and no longer functions in the realm of the Olorisha once he passes to Ifa. The sect of Ifá is basically a diviner’s sect. They specialize in divination using either the Okuelé (diviner’s chain with 8 seed pods on it) or with Ikin (palm nuts) and the Opón Ifá (a wooden board). Babalawos can also perform ceremonies of cleansing, readings for a person to determine their tutelary Orisha, entrance readings prior to Kariocha and they can officiate sacrificial ceremonies. 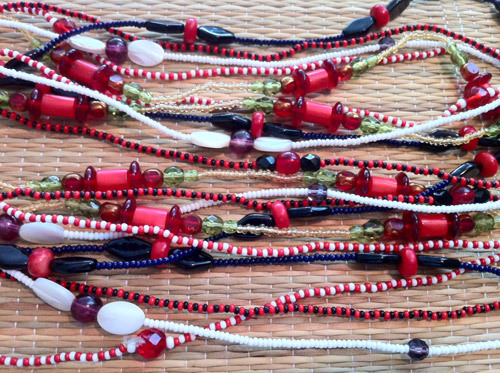 It is important to state that Babalawos do not read with cowrie shells – they only use either Okuelé or Ikín in divination. Many lineages do not work with Ifá and most of those lineages refer to an Obá Oriaté to officiate their ceremonies. Once a person is initiated to Ifá or passes from Ocha to Ifá, they are no longer allowed to crown people to any Orisha other than Orunmila. In many ways the step away from the Orisha sects into a strict worship of the Ifá sect. In African lineages they are beginning to initiate women to Ifá and call them Iyanifá. This is a relatively new evolution of the religion back in Africa and is not recognized in Santeria as a practice. The Obá Oriaté is the true high priest in our religion. They are the master of ceremonies who knows all of the rituals and officiates them on behalf of a community. There is a great misconception that only men can be Obá Oriates. This is not only liturgically incorrect, but there is historical evidence to the contrary. Some of the most powerful Oriates in our religion were women. Santeria is a woman’s religion, and women dominate its practice. The Oriate is the person who officiates the kariocha ceremony and orchestrates the efforts of the Olorishas who are present to initiate the new Iyawó. The Obá Oriaté can officiate sacrificial ceremonies, work with ancestors, give cowrie shell readings (diloggun), determine a person’s tutelary Orisha, do entrance readings prior to ceremonies, give necklaces, give warriors, give Orishas, give life readings (itá), perform ebó – they can perform religious services in every aspect of Santeria. They go through a special ceremony to remove any taboos from their hands so that they can officiate the initiation of any individual. Oriates may be crowned to any Orisha (except Orunmila). Wonderful site. Plenty of helpful information here. I’m sending it to several pals ans also sharing in delicious. And of course, thank you to your sweat! Where should an Aborisha turn if he is disowned by his Padrino? Victory: The first place you should go is to your oyugbona. They are your second godparent and are the one who is in charge of your well being. If they are not available then go to the oriaté who officiated your ocha ceremony. Dr. E. are you a babalawo? No, I am an Olorisha. keep up the good work , Thank you. Im from detroit how do i find my godparents? The best thing to do is put feelers out into the community to see if you hear about any local godfamilies. Sometimes botanicas (latino magical supply shops) will be associated with a godfamily. Or you can also check online discussion forums and ask around to see if there are any reputable people in your area. i have a concerned question, is it my godparents duty to inform me of tambor’s and misa that they have in their homes, especially because i am still a yabo? does my godparents need to call to see how am doing or need anything or is it only myself that needs to make communication with them? Typically iyawos are excluded from many public activities. Most godparents expect them to stay home, stay quiet and stay out of trouble. It’s not until your year in white as an iyawó is complete before you can really be active in public events. Many houses do not allow iyawos to be at misas at all. And many godparents are very busy with other godkids and don’t feel the onus is on them to let you know when these events are taking place. In any case I recommend you speak with your godparent and clarify expectations regarding these things out of respect for them and as a mature way of handling these issues. hi my question is i’ve been told that according to the oddus in my ita i can become an oba oriate what orishas and initiations would i need before becoming an oba oriate. There truly isn’t a requirement of number of orishas or any initiation to become an oriate. I’ve asked Oba Oriate Miguel “Willie” Ramos, Oba Oriate Jesús Castellón and many older olorishas with 30+ years of initiation. The true making of an Oriate comes when another oriate sits them down on the mat to perform an itá for a new iyawó. That’s it. An oriaté is defined by his or her knowledge of the religion, of odu and of our ceremonial procedures. In many ways it is the community that appoints the person as oriaté because they have proven they have the knowledge. You DO have to have kariocha made, completed your three-month ebó and have been given access to igbodú, and (if your lineage does it) have received pinaldo. But there is this new trend that’s taking place (especially in New York City, but in other areas too – I’ve seen it in Los Angeles and some parts of Miami) where they say you have to have certain orishas (like Agidai and others) and then you go through some ceremony where they wash your hands to remove your ewós and that makes you an oriaté. Truthfully this was never done in the past, and if you look at old records and ask the eldest of oriatés as well as old santeros(as) they’ll tell you differently. But we do respect that this newer tradition does exist and some folks have that requirement for the making of an oriaté. Our church adheres to the older way of doing things. I know someone who claimed to be a soon-to-be babalowe as he is saving up money for the initiation ceremony. This person is extremely ignorant, greedy, arrogant, unkind, egocentric and uneducated. He kept saying how rich he would be after he becomes a Babalowe. I wonder how he will be serving the religion and the people in need with his limited and flawed mind and personality. People like this give the religion bad reputation. can you receive your warriors from a santero or santera or does it have to be given by a babalowe?? help!! Interesting concept of what a “Babalawo” is . I have been an Oluo for 20 years. The only thoughts I have regarding your interpretation; is that the position of Babalawo cannot be purchased. Moreover, it has to be earned through many years of study. As the Oddu “Irete Meye” states “all ceremony starts with the blessing of Awo Ile Orunla lowo ni Ile Itase’. Hello, What does it mean when one of your collares pop/breaks? You really need to get a Diloggún reading asap. For the Idé it means it took a hit for you also when it breaks.